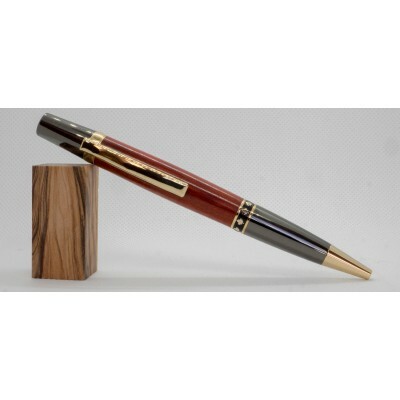 A single tube ballpoint twist pen. Evokes images of the knights, soldiers and kings of medieval ti.. 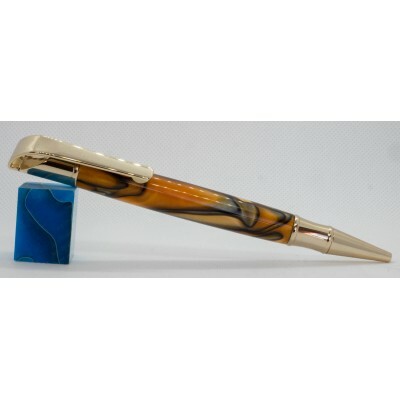 The streamlined, modernistic clip and cap design define this elegant pen. Easy to hold with a comf.. 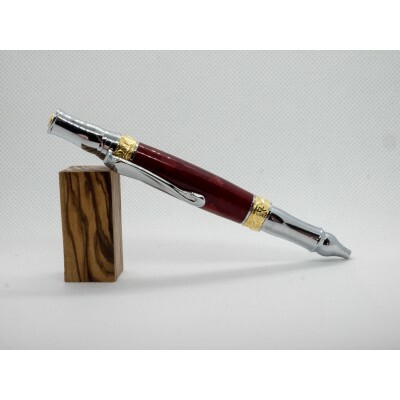 This beautiful pen is a classic twist pen with a modern look that is very comfortable to use. It i.. 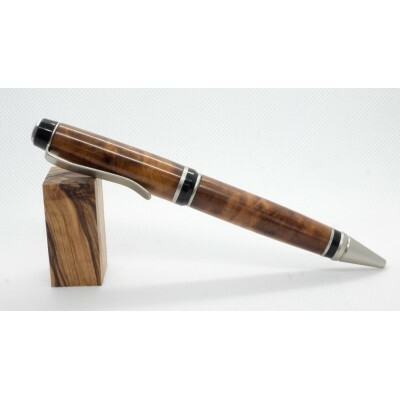 Designed by accomplished pen designer David Broadwell, this pen comes to life with custom casted 3.. 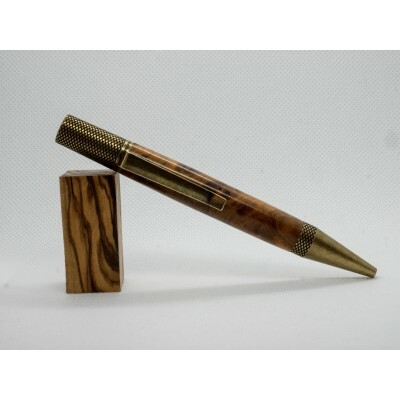 Here is an antique brass Professor pen. 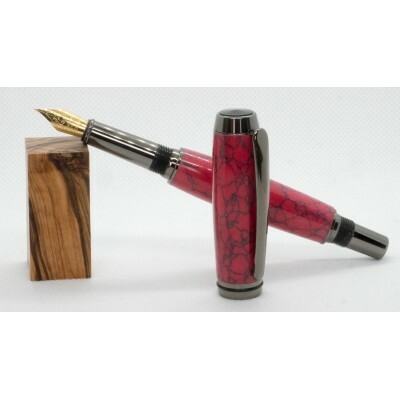 It is made of thuya burl. 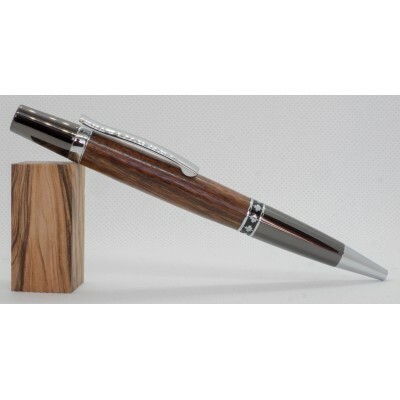 This pen uses Parker style refil..
Napoleon ballpoint pen in black titanium & rhodium. 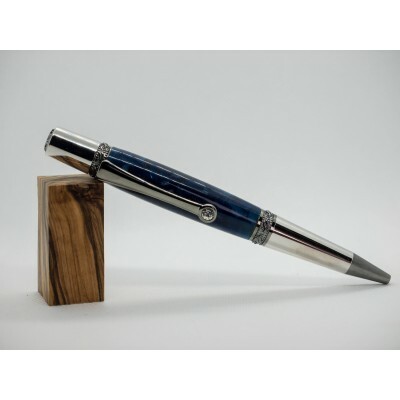 This attractive, high end twist pen features a.. 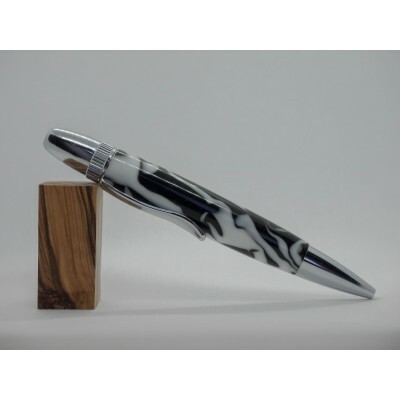 Dramatic sculpted pen. The clip features a crouching Chinese dragon, the band shows a dragon claw .. 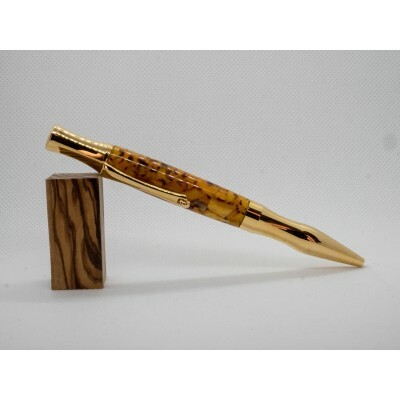 This is a beautiful classic fountain pen with gold fittings and a screwable cap. It is made with S.. 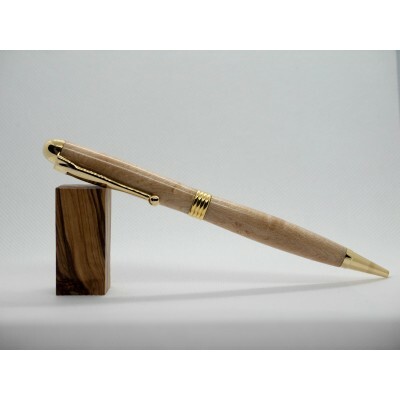 This slim pen, simple and elegant, fits comfortably in the hand. 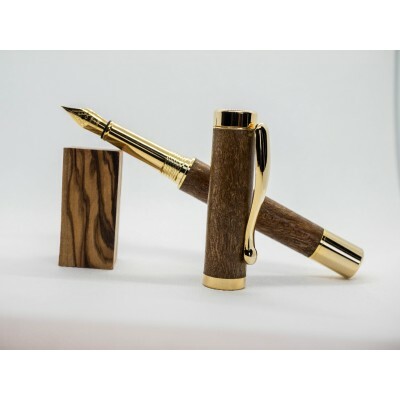 This fountain pen is handmade in .. This pen takes its name from the French word for “curve” – a reference to the elegant contours of ..
Carbara twist ballpoint pen kit in silver chrome. It is made with "Dalmatian" black and white acry.. 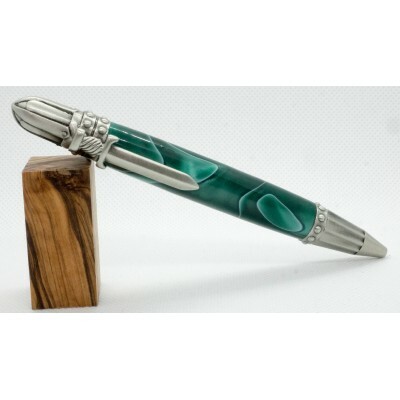 This is a light elegant round-top twist pen that has a domed finial and elegant ball clip. 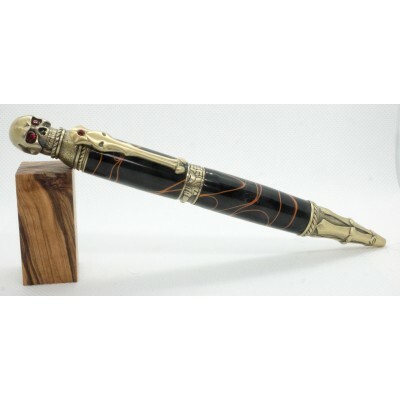 Handma..
A unique skull and bones pen in antique pewter. 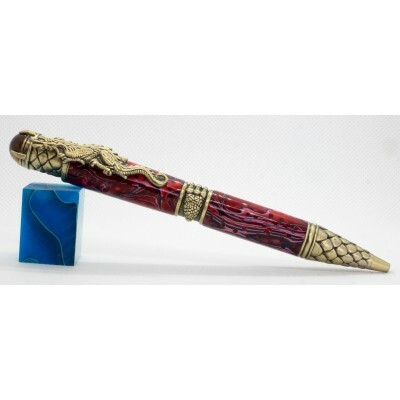 the pen cap features a skull with red crystal eyes..
A beautiful pen in the celtic style in antique pewter. 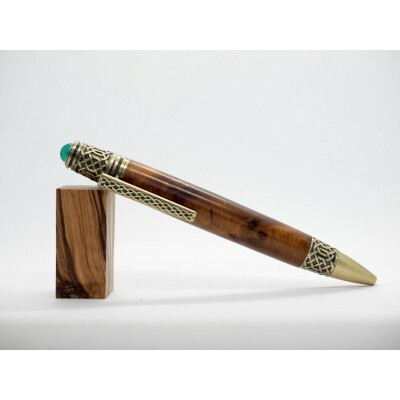 It feature intricate Celtic Knot scrollwork..
Beautiful pen in the celtic style finished in antique brass. 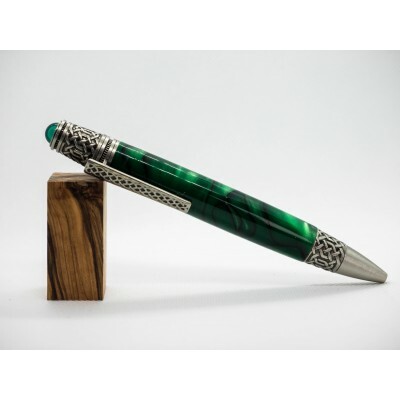 It has Celtic Knot scrollwork on the .. 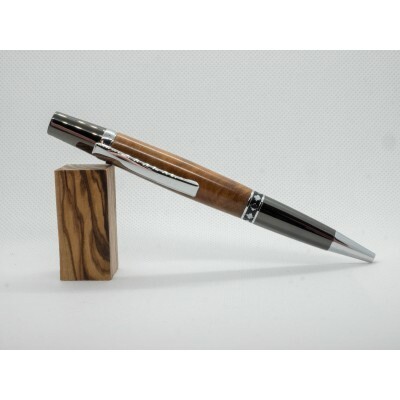 This pen with its black accent bands, prominent flat clip, and a hexagonal finial give this double.. 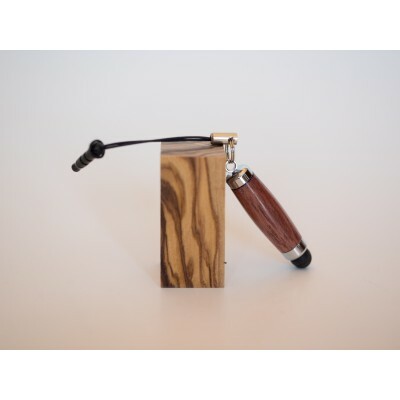 This little stylus is used with touch-screen electronics, and permits greater precision than a fin..